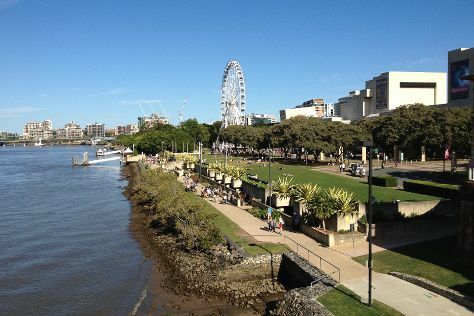 On the 7th (Tue), walk around Roma Street Parkland and then have fun at South Bank Parklands. Keep things going the next day: identify plant and animal life at Lone Pine Koala Sanctuary, take some stellar pictures from Mount Coot-tha Lookout, and then make a trip to Wheel of Brisbane. For ratings, reviews, maps, and tourist information, read our Brisbane road trip app . If you are flying in from India, the closest major airports are Brisbane International Airport and Gold Coast Airport. In May, plan for daily highs up to 27°C, and evening lows to 15°C. Cap off your sightseeing on the 8th (Wed) early enough to travel back home.